Join BFF's and registered dietitians Wendy Lopez and Jessica Jones as they talk to different experts about how we can live healthier, more balanced lives. No restrictive diets or quick fixes here. If you’re looking for a sustainable and inclusive path to wellness, join Wendy and Jess every Wednesday to learn how to take care of yourself from the inside out. E52: Making Nutrition Your Business w/ Carlene ThomasOn this episode of the Food Heaven podcast, joining us is Carlene Thomas, a registered dietitian nutritionist, food photographer and recipe content creator based outside of DC in the Virginia wine country. She and her husband Chris run a food and beverage content creation company that focuses on videography, photography and stop motion on digital platforms for national brands. In this episode, we talk to Carlene about being an entrepreneur and her journey pursuing an untraditional career path in dietetics. E45: Does Meal Timing Matter?We get lots of questions about meal timing. For example, when should you eat your first meal? How long should you wait in between meals? What time should you last meal of the day be? So, today we’re going to get into this topic, to help you figure out the best eating schedule for you. Learn how to figure out the best eating schedule for you using our 3 general guidelines. 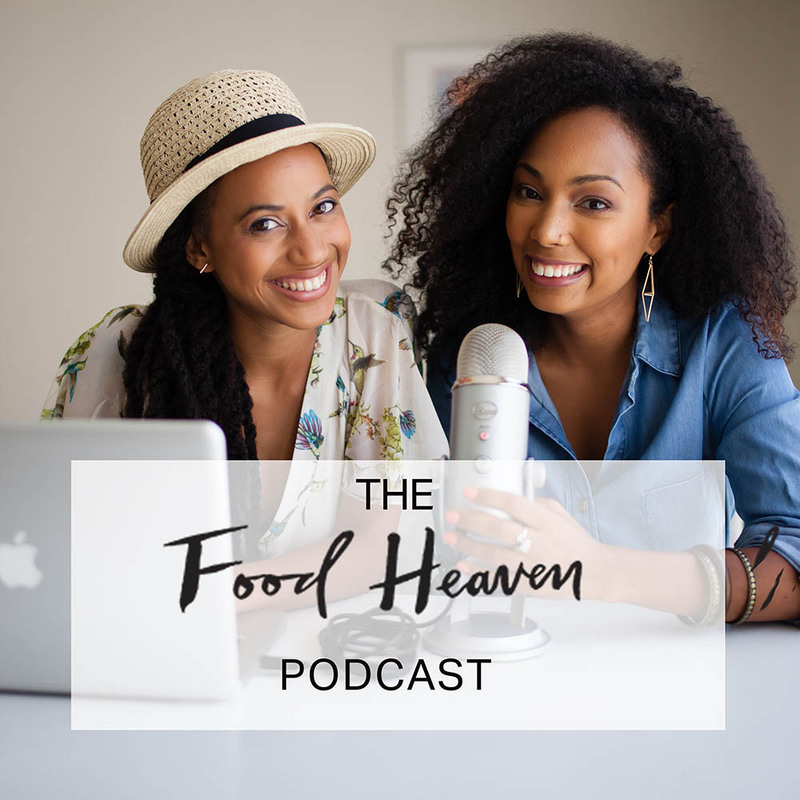 E44: Business With a Friend: The Pros and ConsIn this episode of the Food Heaven Podcast, we're talking about our experiences as BFF's and biz partners. The pros, cons, and in betweens. Check out the full post here: https://foodheavenmadeeasy.com/should-you-start-a-business-with-a-friend/ Shout out to our sponsors, MegaFood supplements (www.megafood.com). Thank you for supporting the Food Heaven podcast! E43: How to Eat Intuitively and Make Peace with Food with w/ Rachael HartleyIn this episode we talk all about intuitive eating, a framework that ditches the diet mentality in order to make peace with food and live your best life. Check out the full post here: https://foodheavenmadeeasy.com/intuitive-eating-with-rachel-hartley/ Shout out to our sponsors, MegaFood supplements (www.megafood.com). Thank you for supporting the Food Heaven podcast! E42: Where We Shop For FoodIn this episode of the Food Heaven Podcast, we're talking about our favorite places to do food shopping. Check out the full post here: https://foodheavenmadeeasy.com/where-we-shop/ ‎ Shout out to our sponsors, MegaFood supplements (www.megafood.com). Thank you for supporting the Food Heaven podcast! E39: Gut Health 101 with Dr. GhannoumDo you suffer from constipation? Diarrhea? Extreme gas and bloating or any other combination of chronic GI issues? Then you'll want to tune in for this podcast episode. Today we're talking ALL about gut health with doctor Mahmoud Ghannoum, the man who coined the "mycobiome". Learn what you can do to improve your gut health today. Shout out to our sponsors, MegaFood supplements (www.megafood.com). Thank you for supporting the Food Heaven podcast! E22: Integrative Nutrition, Aromatherapy & Herbal MedicineLearn about integrative nutrition with Registered Dietitian Denine Rogers, MS, RDN, LD, FAND, who is an integrative dietitian with a Master's in Herbal Medicine and Aromatherapy. If you haven't heard about integrative medicine already, you'll love learning more in this episode. Denine tells us about how her own health journey led her on a path to integrative nutrition and how it changed her life. You'll also learn practical action steps you can take to be healthier in an integrative way...starting today. Q&A: What To Eat During PregnancyIn this week's minisode, we received a question about what exactly to eat during pregnancy and how to not go over the recommended amount of weight gain while expecting. Tune in to learn how to have a balanced meal plan during pregnancy and snack ideas that will keep you feeling full and satisfied. Q&A: How To Make Peace With Sugar CravingsEver struggle with sugar cravings that are having a negative impact on your health? If you have ever felt out of control in the presence of anything sweet, then this episode is for you! E14: Why NY's Resolutions Don't Work & How to Create Healthy Habits That LastDo you often make New Year's resolutions but fail to follow through? You are not alone. Studies show that as many as 50% of New Year's Resolutions are doomed to fail from day one. In this episode we break down why those infamous NY resolutions don't work and what to do instead. E11: How to Eat SustainablyWant to learn how to eat more sustainably? Listen to our latest podcast episode to learn about our top 6 ways you can be more sustainable in the kitchen. E7: Starting an Exercise RoutineIn this episode, Jess talks picks the brain of certified personal trainer and registered dietitian Maxine Yeung. Maxine shares how much exercise we need for optimal health, exercises you can do without a gym and (most importantly) how to build a booty. E3: The Secrets to a Healthy BreakfastIt's often touted as the most important meal of the day, but how much do we really know about breakfast? We share our top tricks for maximizing your breakfast plus our favorite breakfast ideas...with options for those that have NO time to spare.